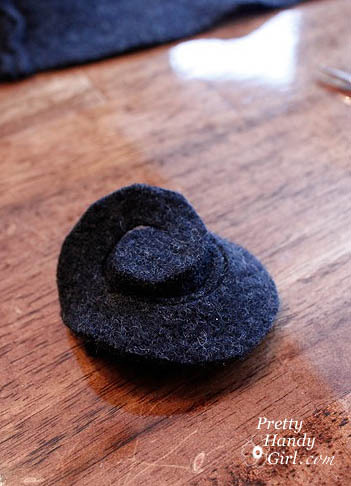 But, getting back to business, I have the felted wool roses tutorial for you today. Last week when I saw THIS ADORABLE WREATH that Stephenie made. I knew that I wanted to make my own roses. Grab a pair of sharp scissors and a round object. I used a can of chicken and a cereal bowl for slightly larger ones. Trace a circle around your round object. As you can tell, I like to use those slivers of leftover soap. Start from the edge of your circle and cut a spiral towards the center of your circle. Try to keep the rows consistent, but it is okay if they aren’t. You can give your rose a “haircut” in the end if needed. At the center, leave a small circle. Grab the outside starting point of your spiral and begin to roll the wool. Keep rolling until you reach the end. 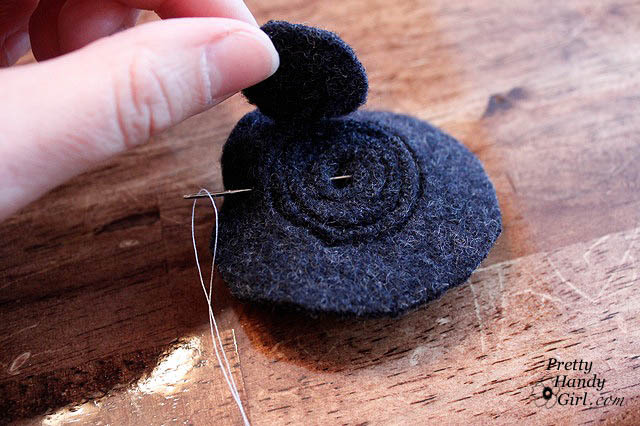 To secure the rose, use some needle and thread to sew several passes back and forth through the center of the rose. If you want to learn how to turn these into roses on a stem, click HERE. 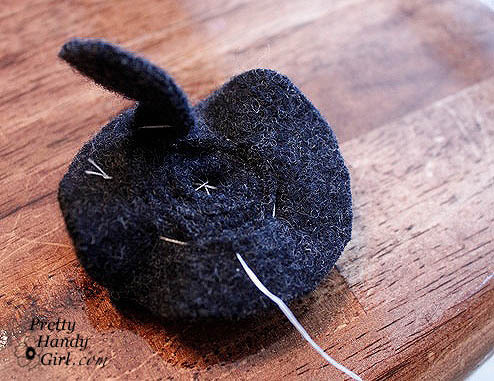 Lay down the flap and stitch around the edges to secure it. And you are done! Here is the size of the finished rose in comparison to the can I used as my circle template. About half the size, wouldn’t you say? Now posted: a tutorial for felted rose stems and embellishing a Goodwill sweater with roses. I can’t wait to show you them! In the meantime, what could you do with these adorable roses? You are right… I should 😉 so so cute!! qu’elles sont jolies ces roses ! J’adore cette couronne qui est absolument ravissante … merci pour le tuto ! Le chapeau également est une vrai merveille ! Quel joli blog que je reviendrai visiter souvent ! If you press F3+ H it allows you to see both the item ID and how much durability a tool has left;. You’re more likely to catch a fish when it’s raining;. I wonder if Warner Brothers are planning tto make a Justice Group movie like how Marvel is ongoing with their Avengers job. You can cure a zombie villager by hitting with weakness potion and the giving them a gold maple, but you must be careful because he still has power while being cured;.